The think tank Institute for Strategic Analysis continues publication of excerpts from a book “Eurasian disunion-Russia’s vulnerable flanks” to keep English-language readers informed of new trends, developments and analyses of President Vladimir Putin’s policies in former Soviet nations during his reign over Russia. 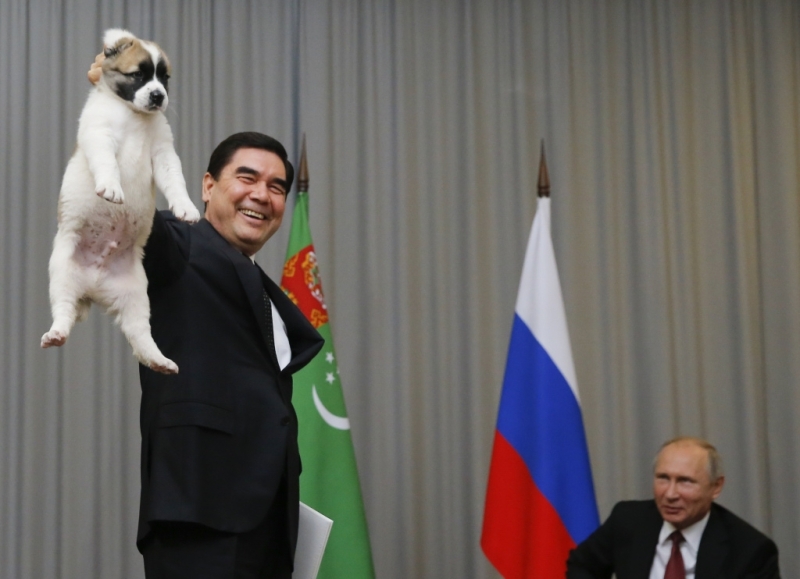 Turkmenistan has managed to limit Russian influence in domestic affairs and the energy trade, but it remains vulnerable to Moscow in the Caspian Sea, both in terms of security and energy transit. The country’s neutrality status allows it to avoid participation in many of the regional groupings established by Russia - EEU, CSTO, or SCO. Turkmenistan is an associate member of the CIS, but has not ratified the 1993 CIS charter, although it participates in meetings and held the chairmanship of the CIS in 2012. Turkmenistan’s announcement in 2011 of plans to increase deliveries to China, participate in the Turkmenistan–Afghanistan–Pakistan– India (TAPI) gas pipeline, and work with the EU to build a trans-Caspian pipeline to Europe, caused a desperate reaction by the Kremlin, accompanied by outright threats of a “Georgian scenario” by semi-official Kremlin spokespersons. In October 2011, then President Dmitry Medvedev tasked his Energy Minister Sergei Shmatko and Gazprom CEO Aleksey Miller to draft proposals to resist the EU’s Nabucco (now the Southern Gas Corridor) and Trans-Caspian gas pipeline projects. Turkmenistan’s Foreign Affairs Ministry expressed its “bewilderment at Russian official structures’ attitude toward Turkmenistan’s advancing cooperation with the EU, a normal cooperation between equal partners on the energy markets.” Turkmenistan declared that its cooperation with European energy partners would continue. The new Central Asia–China gas pipeline, which starts in Turkmenistan, has broken Russia’s monopoly over gas transport in the region. It has also changed drastically Ashgabat’s position vis-à-vis Moscow. Turkmen leaders started exhibiting confidence in price negotiations with Russia as well as in responding to pressures from the Kremlin regarding Ashgabat’s cooperation with the EU on the trans-Caspian pipeline to Europe. Turkmenistan’s largest gas field, South Yolotan, was developed with the help of a $4 billion loan from China provided in 2009. In November 2011, Beijing and Ashgabat signed a deal that will allow Turkmenistan to supply China with 65 bcm of natural gas per year, or over 50% more than the initially agreed 30 bcm per annum in 2007. The deal challenged Russia’s position as the main buyer of Turkmen gas at the time and subsequently pushed out Russia from Turkmenistan’s gas market. In 2015, Russia ceased buying Turkmen gas due to price disputes, Gazprom’s non-payment of received volumes, and the decreased demand for Russian gas in Europe. Using Beijing’s new pipelines, Ashgabat already exports as much gas as it used to transit through Russia - Gazprom bought 40 bcm/a of gas from Turkmenistan in 2008, China's imports of Turkmen gas were boosted to 40 bcm/a in 2015. Currently, the Turkmenistan - China natural gas pipeline system consists of three branches with a total capacity of 55 bcm a year to transfer gas from Turkmenistan as well as gas from other Central Asian states. Another branch of the pipeline will be built in 2016, increasing the total capacity to 85 bcm a year. Republished from a book "Eurasian disunion - Russia's vulnerable flanks".